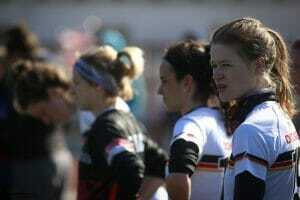 Leila Tunnell at Global Ultimate Training Camp in Germany. Photo: Heiko Gross. This article is sponsored by the National Ultimate Training Camp. Registration for 2018 summer sessions of NUTC is open! Sign up now and support the brands that make Ultiworld possible. In early April, four ambassador coaches from the National Ultimate Training Camp (NUTC) landed in Darmstadt, Germany, for a week of training with 60 players from the German National Team. Leila Tunnell, Amber Sinicrope, Jimmy Mickle, and Russell Wallack—all champions on the US and world stage—broke ground on the newest offering from Tiina Booth’s lauded summer camp series based in Western Massachusetts. Immediate reactions signal a resounding success for the Global Ultimate Training Camp (GUTC). From April 5-9, the four coaches worked with the German athletes and coaches to teach fundamentals, introduce new approaches to ultimate systems, and lead gender equity discussions. As feedback began to arrive from camp attendees, it was overwhelmingly positive. Global Ultimate Training Camp. Photo: Heiko Gross. “First, the idea of bringing the 60 best players of Germany together was simply amazing. We had the feeling that especially the female athletes felt recognized and thankful to show their skills with and in front of the their male colleagues,” wrote German women’s team coach Marco Mueller on behalf of his staff. Stefan Rekitt, coach of the German men’s team and longtime presence on the Boston Ironside sidelines, added his praise of the work from Tunnell and Sinicrope. “Especially the girls appreciated very much that we had female counselors who can serve as role models for them even better than Russ and Jimmy,” said Rekitt. Booth’s NUTC is well-known for its draw on talent. Many of the elite players who serve as staff were campers first, excitedly returning to sustain and improve the summer program, which has added more sessions and more divisions over the years. As campers have returned year after year and gone on to become counselors, NUTC’s high standards for excellence have expanded through the ultimate community. Wallack is an Amherst, MA, native who started playing for Booth in high school and went on to a career with Ironside that culminated in the 2016 club title. Wallack met Rekitt on the Ironside sidelines at Nationals in 2012, where Rekitt returned each postseason. In 2017, Wallack suggested hosting clinics with Rekitt while visiting Munich in August of that summer. After those test-run camps found success, the two engineered GUTC with Booth’s blessing, seeking to bring some of NUTC’s best coaches to Germany’s best players. GUTC is the next step in a strong relationship between the German National team and Booth’s camp. Since 2013, Rekitt and the National teams have administered the Phillis Award, a scholarship that sends a German junior player (between the ages of 14-18) to NUTC, all expenses paid. The award is named after Philip “Phillis” Timmerman, a friend and teammate of Rekitt’s and a two-decade ultimate veteran. Timmerman died in 2012 from an aggressive brain tumor at age 33. “It still makes me sad and happy at the same time. It’s sad that we lost a good friend and great ultimate player. But I’m happy that we can now give an opportunity to young German players to attend NUTC every year and all winners so far came back with only the best experiences and big plans to return to the US and/or NUTC,” said Rekitt. Jimmy Mickle at GUTC. Photo: Heiko Gross. The relationship is officially reciprocal now that GUTC has traveled Germany. Rekitt, who outside of ultimate has worked in international law for over a decade, said the experience was tremendous. “Even compared to this standard, the [four] coaches have impressed me with their working ethos and effort they put into the camp,” he said. “Every night they reviewed the day and prepared the next day for two hours and more. They worked as a functional unit on the field and off the field. They were always patient with the campers and answered every questions. The campers loved them and treated them more as friends more than counselors. The way of teaching showed that NUTC was designed by a teacher and not just an ultimate player. The success in Germany is GUTC’s first step. Booth was pleased with the result and looked toward the future. “We eventually hope to have teams of counselors traveling around the world conducting GUTC sessions,” she said. 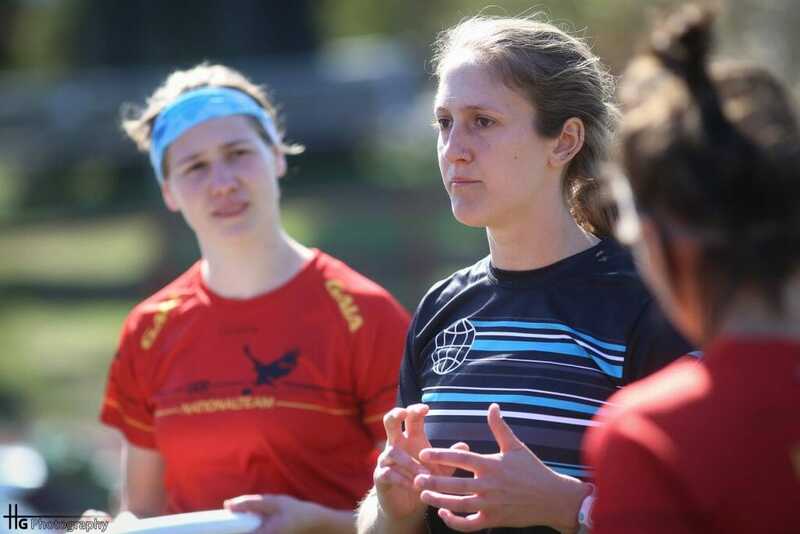 Comments on "NUTC Goes International With Global Ultimate Training Camp"